We are proud to say all our tradesmen are trained by us and take great pride in their workmanship. 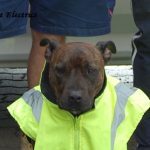 No cutting corners on safety, quality or materials on our jobs. With more than three decades of experience at our backs, we have all the tools and expertise to offer consistently high standards, with a commitment to meeting and exceeding your expectations. 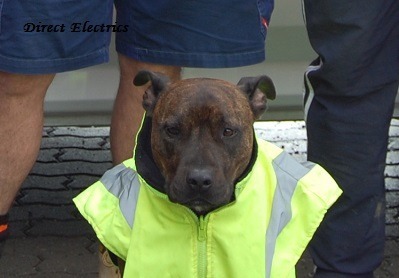 For all Electrical Services, Armadale, Fremantle & South Perth. There aren’t many things so important to our everyday lives in the modern world as electricity. Without a safe, stable and constant supply of it, even the simplest and humblest of everyday activities quickly becomes extremely difficult to get done. So it’s naturally extremely important to ensure that your home and/or business has all the best, correct equipment and infrastructure in place in order to guarantee that you enjoy an uninterrupted supply of safe electricity. Fortunately, when it comes to finding an excellent electrician, Kelmscott residents and businesses really don’t have to look far. And many other premium electrical services. Thanks to our state of the art equipment and our enviable team of expert electricians, all of whom we’ve trained ourselves with our in-house apprenticeship schemes, we can provide all of the above services and more with maximum swiftness and efficiency – and we can guarantee top-quality results absolutely every time. Plus, all of our services are offered at entirely fair, competitive prices. So when it comes to finding a residential or commercial electrician, Kelmscott customers should look nowhere else. Kelmscott homeowners should of course bear in mind that not every electrical situation requires a professional electrician, but it’s equally important to remember that even seemingly minor problems can quickly and easily develop into much more significant issues – so if you’re in any doubt whatsoever, it’s always best to get in touch with the experts. This is especially true in light of the fact that so many people end up making the situation worse and putting themselves in real danger by trying to fix faults themselves. Seemingly minor issues such as lights which are flickering and waning, or power outlets and switches which are a little bit warmer to the touch than other surfaces in the house, often in fact reflect much more problematic underlying issues. It’s also always sensible to have a qualified electrician take a look over a new home or workplace you’ve purchased, especially if the building is a little older. Many older buildings have electrical systems and sockets which were considered fine at the time they were installed but which are inefficient and unsafe by modern standards. A brief visit by an electrician will allow you to find out whether or not your new property requires a few simple and affordable updates in order to bring it into line with today’s guidelines. 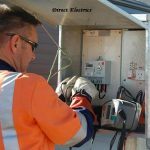 If you’re on the lookout for a residential or commercial electrician in the Kelmscott area, simply get in touch with a member of the knowledgeable team here at Direct Electrics today to find out more information about our services and arrange a visit from one of our experts. Direct Electrics are Perth’s best electricians for domestic & commercial services. 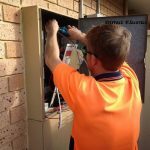 We service suburbs across Perth, providing electrical services such as split system air conditioning. Visit our website or call us on 08 9498 0666 for professional electrician service today! Free onsite assessments & quotes.